I like it. 33 floors will look great. they have to demolish a perfectly good 6 story brick building for it, which is a shame. Thank you Warwickland. I thought the same thing. Jeez. Find a vacant lot nearby to build the tower. So is the attraction to this parcel that the people in the new tower will be able to watch baseball games for free? The current building on the site. The St. Louis Cultural Resource Office is suggesting that the Preservation Board giving preliminary approval to demolish the existing structure. HOWEVER, they do not want the building to come down until a Building Permit has been applied for and/or approved for the tower so that they know they are not getting scammed. The Board will hear the proposal and arguments and will vote on the issue tomorrow at 4P.M. Chris Stritzel wrote: The St. Louis Cultural Resource Office is suggesting that the Preservation Board giving preliminary approval to demolish the existing structure. HOWEVER, they do not want the building to come down until a Building Permit has been applied for and/or approved for the tower so that they know they are not getting scammed. The Board will hear the proposal and arguments and will vote on the issue tomorrow at 4P.M. City government over ruled Preservation Board. Most likely the building will come down as it is now declared "blighted". This new Skyscraper for Downtown STL has been approved by STL Alderman and will be stamped for approval, most likely, by the mayor this week. Updated rendering showing One Cardinal Way (Ballpark Village) and 300 South Broadway (this project). This is the first official one of them together. I will post the skyline shot from across the river later. Have no time now. Here are the other renderings that I promised. The 300 South Broadway will make an impact on the skyline more than one Cardinal Way but both look really good. It is a good thing I found and saved them when I did. HDA, the architecture firm behind the project, deleted these photos from their Facebook album on Multi Family and Hospitality projects. Nice tower, has this began construction? i believe so....something has, there's two cranes up downtown. i'm in the central west end a lot more than downtown, so not sure what those cranes are over right now. edit: no, they just vacated the building to be demo'd. the cranes are all ballpark village stuff. it does seem like they are now trying to fast track the project, however. 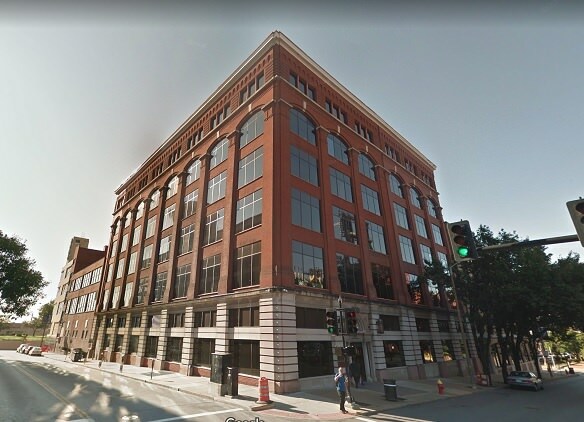 The partners behind a plan to transform the St. Louis Community College headquarters building into a $100 million apartment tower have walked away from the deal, prompting the community college to put the downtown St. Louis building back on the market for $7.5 million. The buyers' representative, James Fredericks of Armstrong Teasdale, notified St. Louis Community College in a July 7 email that the team — Chesterfield-based HDA Architects and Chicago-based White Oak Realty Partners and CA Ventures — had elected to terminate the agreement to acquire the 300 S. Broadway property, Chancellor Jeff Pittman told the Business Journal. HDA Architects Vice President Patrick Holleran said the deal is not dead but declined to comment further. STLCC has now tapped Cushman & Wakefield broker John Warren to market the 93,000-square-foot building, which he said is ideal for creative office, hotel or residential. 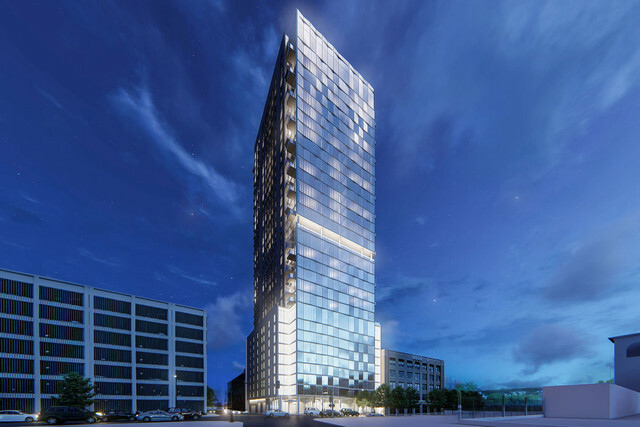 HDA Architects and the Chicago firms had planned to turn the downtown building into a 33-story apartment high rise that was estimated to cost $100 million and was to compete with Ballpark Village's $120 million luxury apartment complex that sits adjacent. The project faced opposition with the St. Louis city Preservation Board, which initially refused to allow a full demolition. The property isn't listed on the National Register of Historic Places but is located in a preservation review district. "We're disappointed, of course, that the original sale didn’t work out. But we’re moving forward and believe there will be a lot of interest in the building," said Pittman, adding that the community college had been working with the buyers for 14 months before the deal fell through. STLCC has already moved out of 300 S. Broadway, which Pittman said saves the college $700,000 a year. That money will be used to improve facilities at several campuses, including Meramec and Florissant Valley, he said. Most of STLCC's leadership team is now based at its Corporate College campus in Bridgeton, while others are at the Meramec and Florissant Valley campuses. The move began in March and wrapped up before summer. "Us moving out is a big win for taxpayers and the college because we're saving money," Pittman said. "We hope the building becomes valuable for downtown and generates tax revenue for the city." This I suppose is dead. That's a shame. At least they didn't tear down the existing building first. a.) i hated this project from the start due to the unnecessary demolition of existing fabric. downtown st. louis is lousy with parking lots and giant garages. it just really made me question the judgement of the developers to even pull it off. b.) yes, thats a good thing. developers have actually demo'd before THEN canceled. I agree. I hated the idea they were demolishing an existing, functional building when there are still surface lots around the area. It is an attractive older building as well.